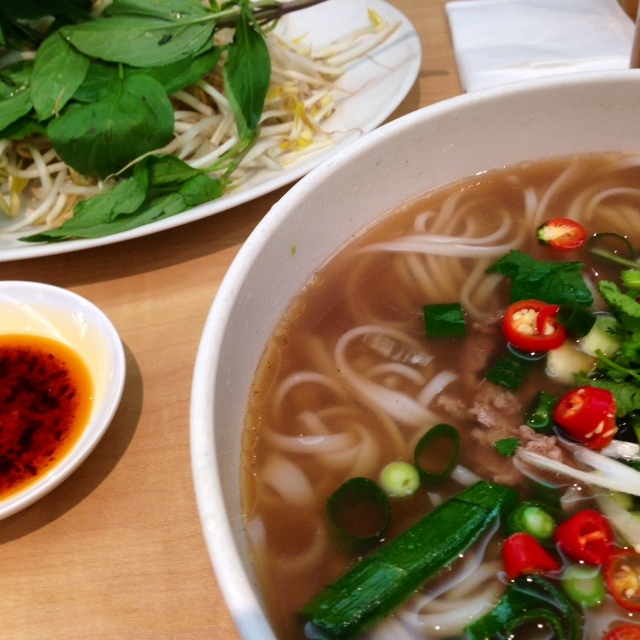 Is this the best pho in Sydney? 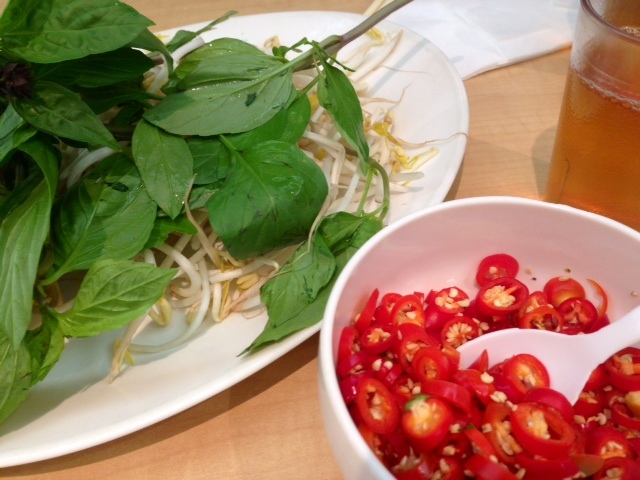 Good pho has hidden depths of flavor, enhanced by the chilli, lemon, basil and whatever you add to it. It’s the noodle soup of the Gods, and just by eating it you’re treating your body as a temple. Then there’s ordinary pho. The broth is thin and watery, the beef clumpy, the texture fatty and shallow. Although it might trick you into thinking you’ve satisfied the craving, essentially it’s pho without soul. The pho at Pho An is possibly the best pho I’ve had in Sydney. It satisfies the craving you don’t even know that you’ve had. 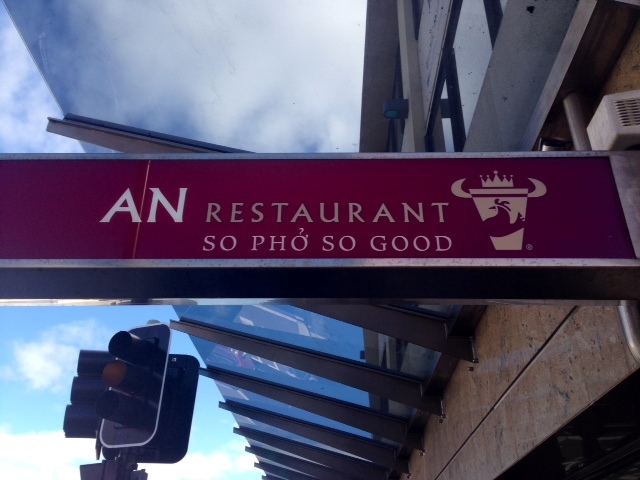 At Pho An, the star of the show is pho- there is nothing else on the menu. You can choose between beef (rare, brisket or tendons) or chicken- with or without organs and other bits. The service is quick, the tables are wipe down and the ambience is noisy…but the soup? The soup is divine. If you want to have a shot at making your own at home, here’s a post I wrote earlier… If you know of a better pho in Sydney, please tell me- I’ll add it to the list to try! Pho An- 27 Greenfield Parade, Bankstown. Although Pho An is open from 7am, lunchtimes are always busy, so be prepared to queue- especially on a weekend. While you’re there, check out the Vietnamese grocers, butchers and bakers- this part of Chapel Road has been re-labelled Saigon Place for a reason. Mmm a big bowl of pho is great for winter. Wow! That looks delicious. I noted today that the WW site had a beef pho recipe. 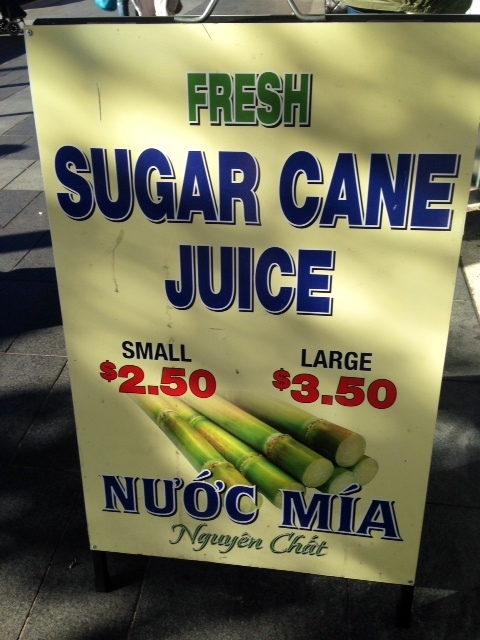 It looked pretty simple but I did wonder how it would taste…. Yeah, there’s no substituting for taste. The recipe I posted isn’t a bad one- you don’t get the depth of flavour you get from a great pho, but you do get the flavour with our the fat. I’ve never tasted Pho (was deluded enough to think I had a sophisticated palate 😉 As a Sydney-ite, I will now visit Pho An!